Add a little extra sparkle to your jewellery box with this three-strap bracelet. This genuine leather bracelet has three separate straps joined by a button clasp. 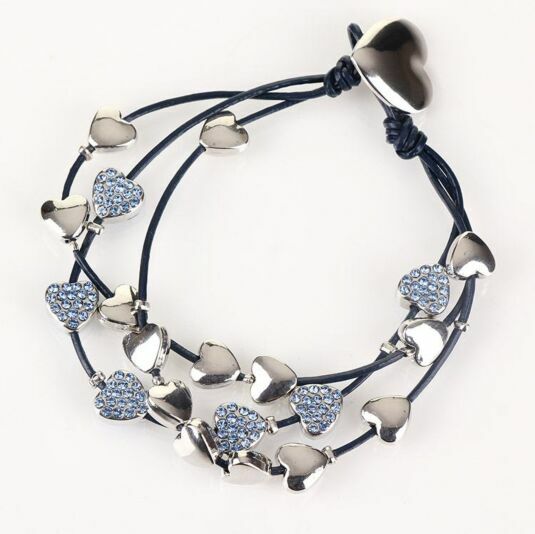 Each navy blue leather piece hangs an array of silver hearts, some covered with blue crystals. This bracelet is a classy additional to both day and night time styles – it works beautifully within a cluster of bracelets with a casual ensemble, and as a stunning standalone piece paired with more formal attire. 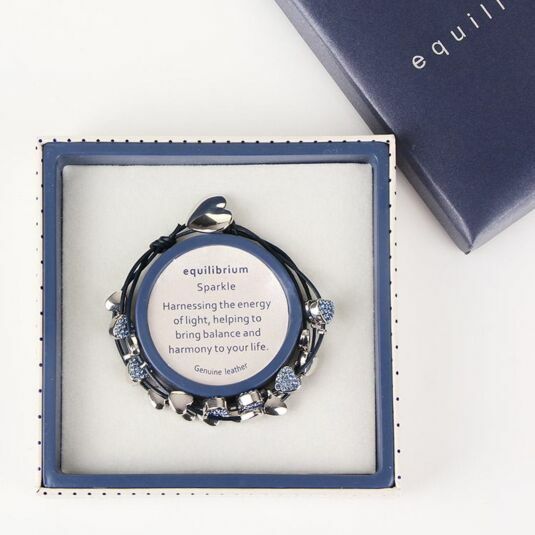 This bracelet is beautifully presented in a striking silver Equilibrium branded gift box.